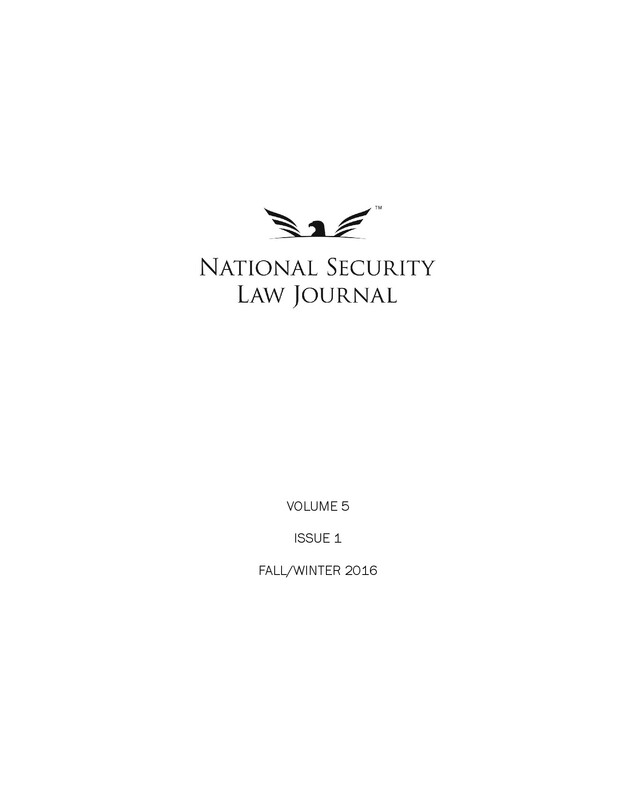 The National Security Law Journal has released online the first and second articles from its upcoming Fall/Winter 2018 Volume 6 Issue 1. Daniel Mandell, The Guantanamo Bay Commissions: A Historical Perspective, 6 Nat’l Sec. L.J. 1 (2018). Download here! Major Aaron L. Jackson & Colonel Kristine D. Kuenzli, Something to Believe In: Aligning the Principle of Honor with the Modern Battlefield, 6 Nat’l Sec. L.J. 35 (2018). Download here! 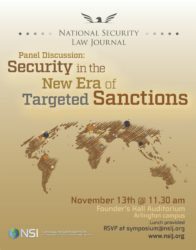 The National Security Law Journal is proud to co-host a national security law fair at George Washington Law on Tuesday, October 23, 2018 from 1-3:30. No registration is required to attend the event. 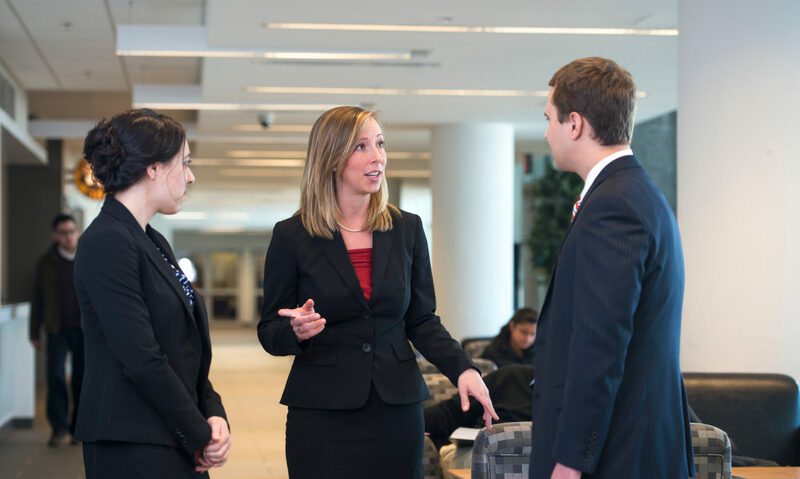 Come by our table during the career fair to say hello and learn more about the exciting things going on at NSLJ! 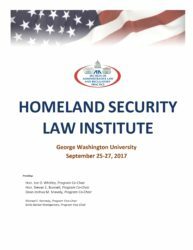 The National Security Law Journal is proud to be a Silver Sponsor for the 12th Annual Homeland Security Law Institute hosted by the American Bar Association at the George Washington University. The event is held from September 25 to 27. Please visit this webpage if you are interested in registering for attendance.